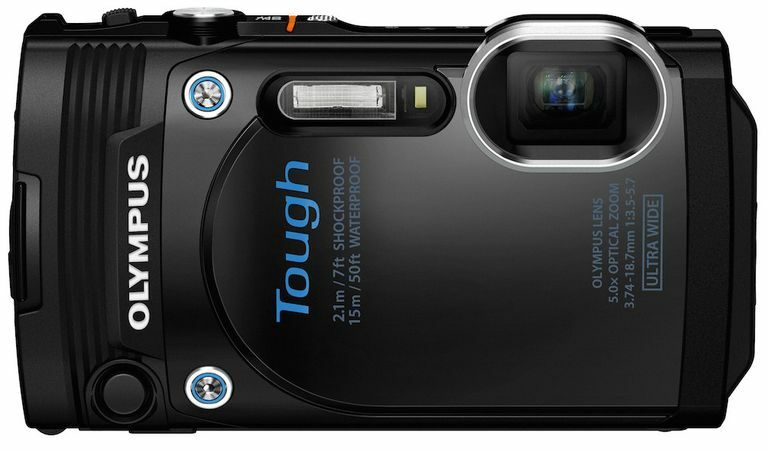 When something goes wrong with your Olympus point and shoot camera, don't panic. First, make sure everything on the camera is tight, all of the panels and doors are closed, and the battery is charged. Next, look for an error message on the LCD, which is your camera's way of giving you a clue as to how to fix the problem. The six tips listed here should help you troubleshoot your Olympus camera error messages, as well as fix problems with Olympus camera memory cards. Any Olympus camera error message that contains the word "card" almost certainly is referring to the Olympus memory card or the memory card slot. If the compartment that seals the battery and memory card area is not completely closed, you'll receive a "Card Cover" error message. If you believe the problem is with the memory card itself, try using the card with a different device to determine whether it is malfunctioning. If another device can read the card in question, the problem might be with your camera. Try another card in the camera to see whether the camera is malfunctioning. Olympus point and shoot cameras typically cannot edit images that have been shot on another camera, which may result in this error message. In addition, with some Olympus models, once you've edited a particular image, it cannot be edited a second time. Your only remaining editing option is to download the image to a computer and edit it with editing software. This error message tells you that the Olympus camera has no photos available for viewing, either on the memory card or in internal memory. Are you sure you've inserted the correct memory card, or did you insert a blank card? If you know there should be photo files on the memory card or in internal memory — yet you still receive the "No Picture" error message — you might have a malfunctioning memory card or internal memory area. It's also possible that the memory card you're using was formatted by a different camera, and the Olympus camera cannot read the card. In this case, you'll need to format the card again using your Olympus camera, but keep in mind that formatting the card will erase any data stored on it. Download and back up any photos from the card before formatting it. The Picture error simply means your Olympus camera cannot display the photo you've selected. It's possible the photo file has been damaged somehow, or the photo was shot with a different camera. You'll need to download the photo file to a computer. If you can view it on the computer, the file should be OK to save and use. If you cannot view it on the computer, the file probably has been damaged. The Write Protect error message usually occurs when the Olympus camera cannot delete or save a particular photo file. If the photo file you're trying to delete has been designated as "read-only" or "write protected," it cannot be deleted or edited. You'll have to remove the "read-only" designation before you can change the photo file. In addition, if your memory card has a "locking" tab activated, the camera cannot write new files to the card or delete old ones until you deactivate the locking tab. Just remember that different models of Olympus cameras may provide a different set of error messages than is shown here. If you are seeing Olympus camera error messages that aren't listed here, check with your Olympus camera user guide for a list of other error messages specific to your model of camera.